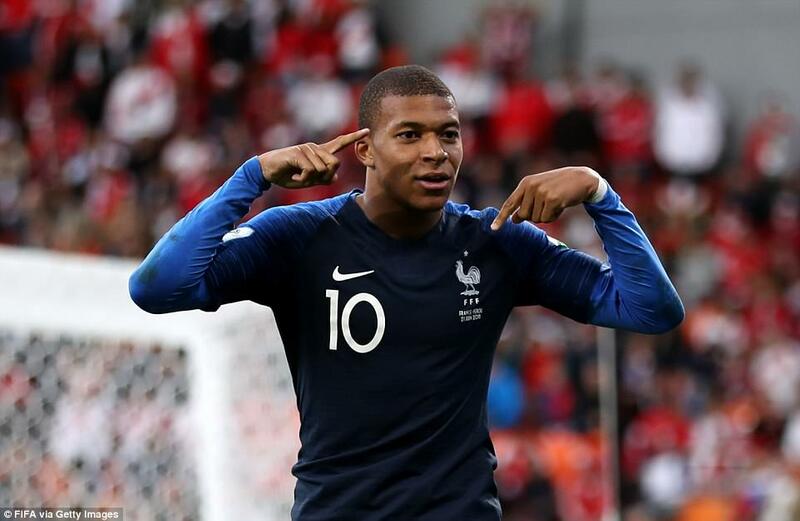 Kylian Mbappe was not yet born when the French conquered the world in 1998 but he created his own piece of history with the opening goal against Peru. 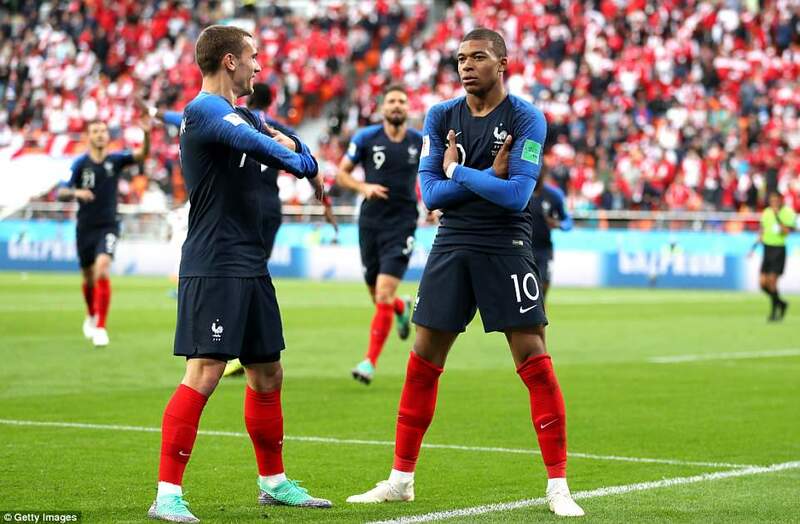 As he tapped the ball into an empty net from a yard or two, in the 34th minute, Mbappe became the first teenager to score for his country at a World Cup finals and their youngest goalscorer in any major tournament. He is already a French title winner and the subject of a £167million transfer from Monaco to Paris Saint-Germain. He will not be 20 until December and this is unlikely to be his last contribution to this competition. 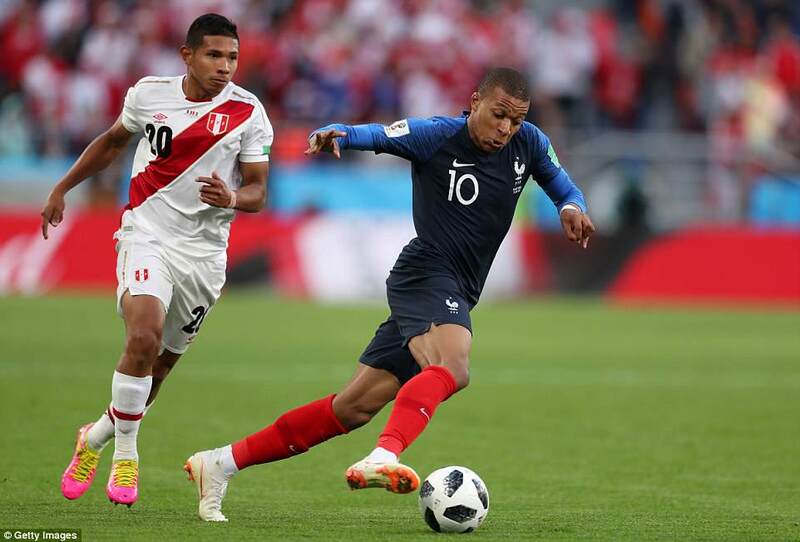 Mbappe is comfortably set in football’s fast lane although the Peruvian supporters did not agree when he made a painfully slow exit, shook hands with virtually every player on the pitch when he was replaced in the 75th minute. 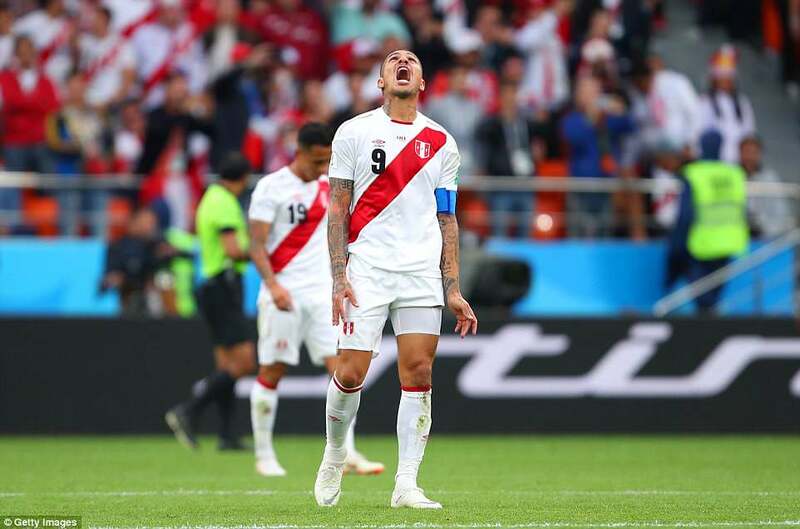 By then, Peru were pushing for an equaliser but it never came and, although they have made an impression Russia with their remarkable support and attacking intent, they will head for home after the group stages having lost their first two games. 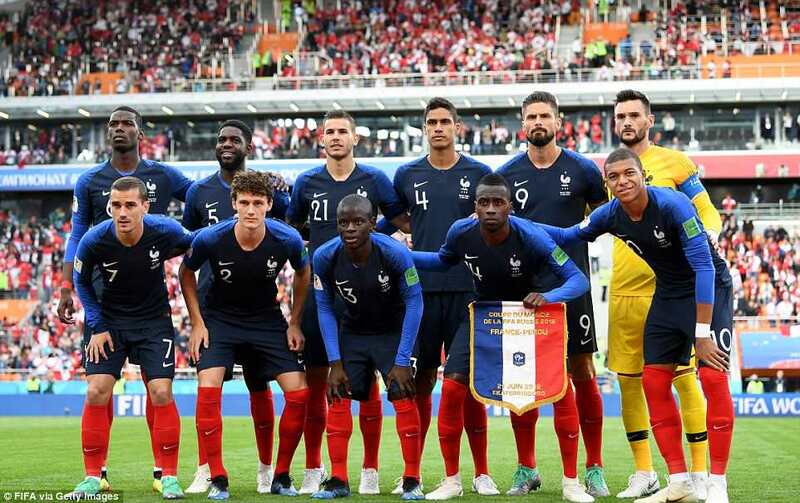 France who held onto their lead and secured a place in the last 16 with their second victory in Group C, and performed with a little more fluency than they did in their opening game against Australia. 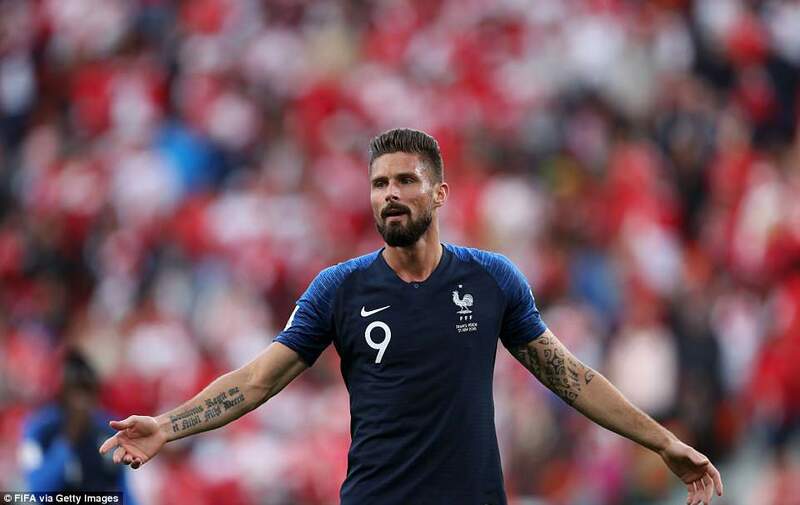 Olivier Giroud, one of two changes made to the team by Didier Deschamps, gave them more physical presence up front and linked up well with Mbappe and Antoine Griezmann. 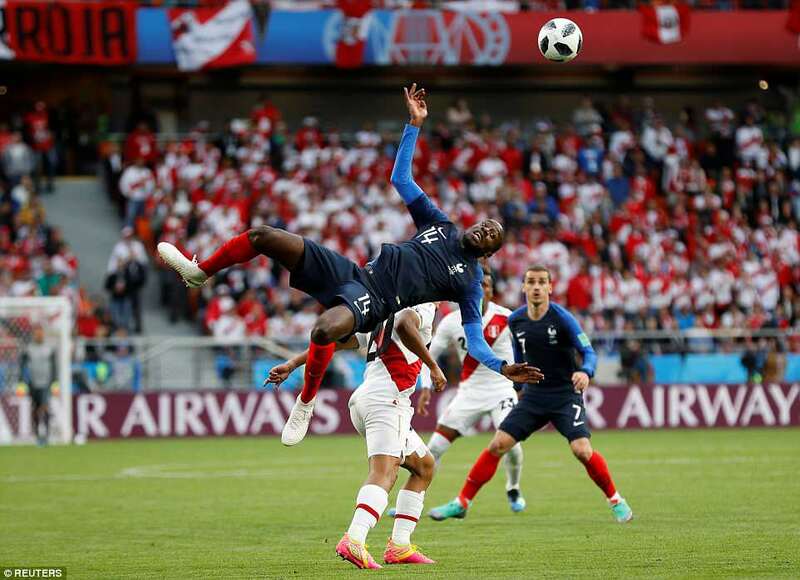 Ngolo Kante performed with his trademark intensity, Paul Pogba made a positive impact and they defended coolly when under pressure in the second half. In front of goal, there is room for improvement. 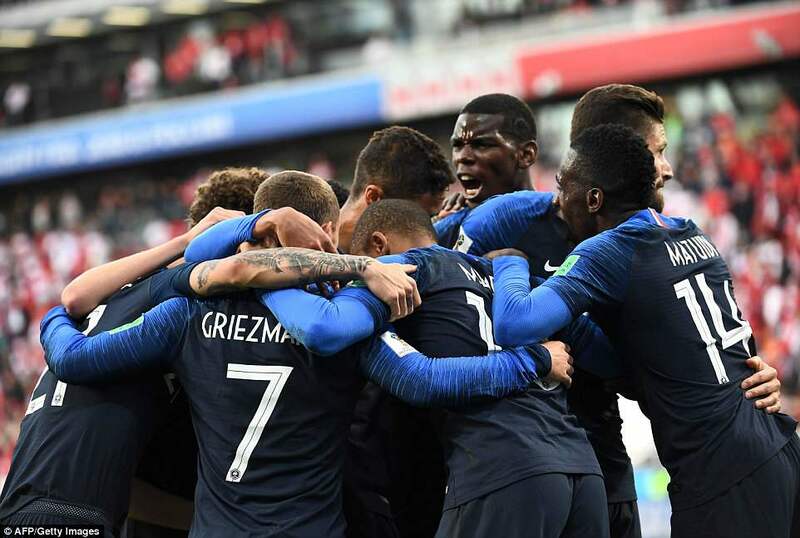 France started against Peru by squandering a cluster of early chances. 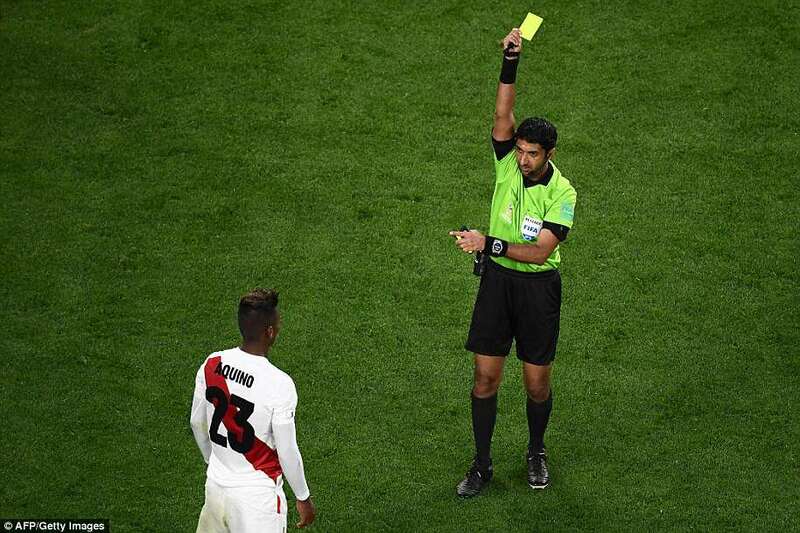 With nine minutes left on the clock, referee Mohammed Mohammed Abdulla brandished a yellow card in the face of Edison Flores. 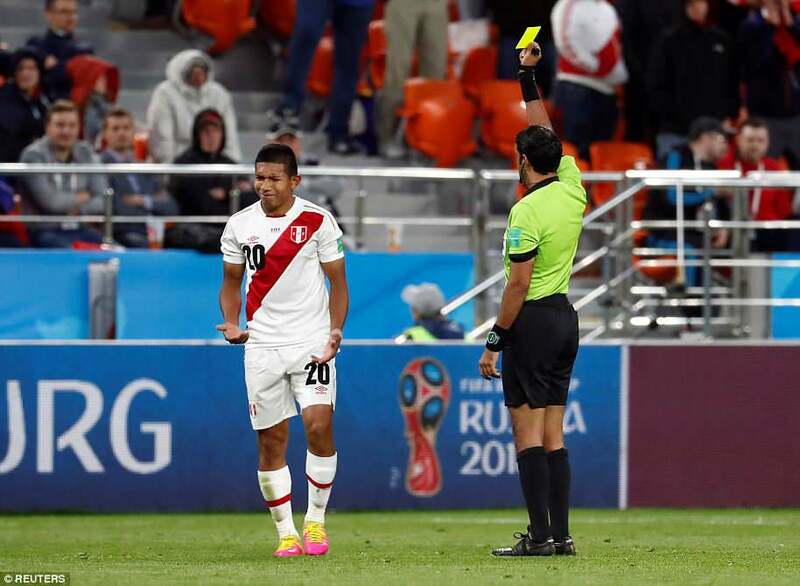 But as Flores shook his head in disbelief, it emerged that the midfielder had not actually committed a foul and instead his team-mate Pedro Aquino Sanchez had actually been the guilty party. Commentators insisted the Video Assistant Referees (VAR) were able to assess the situation on the grounds of mistaken identity and Abdulla was informed of his error. He gestured to Flores that he had, in fact, not been booked while Aquino was rightly cautioned. 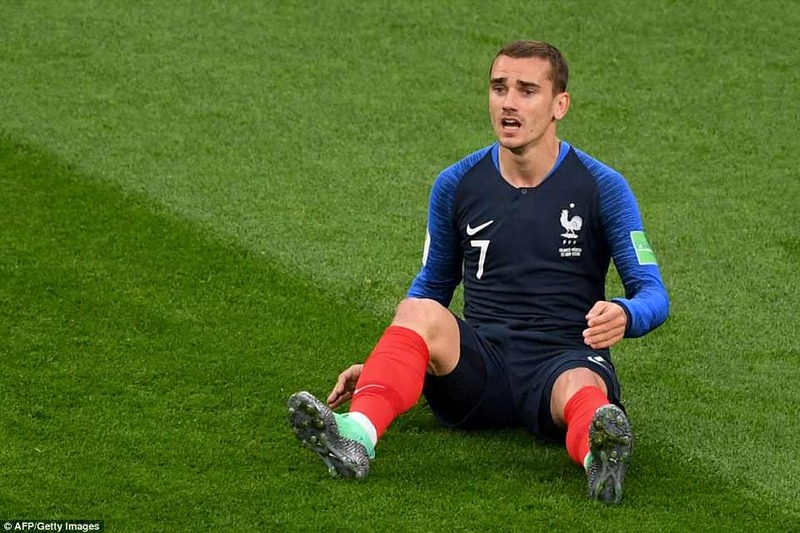 Griezmann, Pogba and Rafael Varane all missed the target and Griezmann was unable to beat the goalkeeper with a good opportunity created by Giroud. Peru survived and improved. 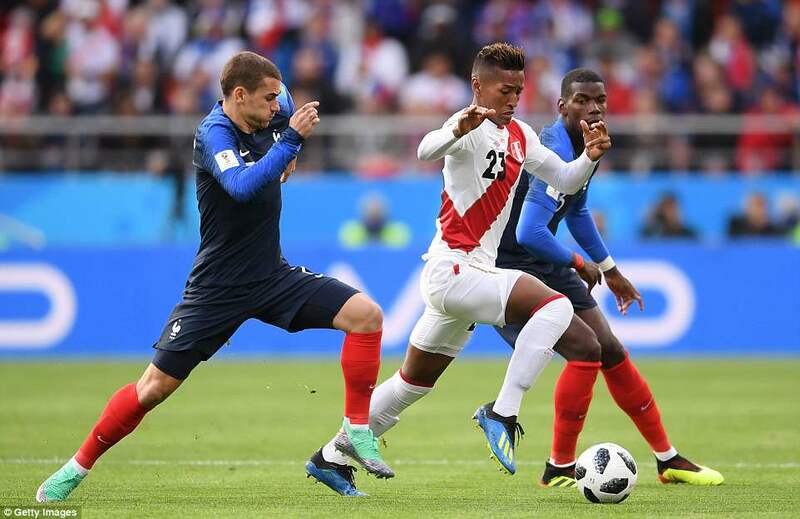 Paolo Guerrero eased past Samuel Umtiti in the penalty area and forced the first save of the game from Hugo Lloris, who was winning his 100th cap for his country. The value of the Lloris save was emphasised moments later when France took the lead. 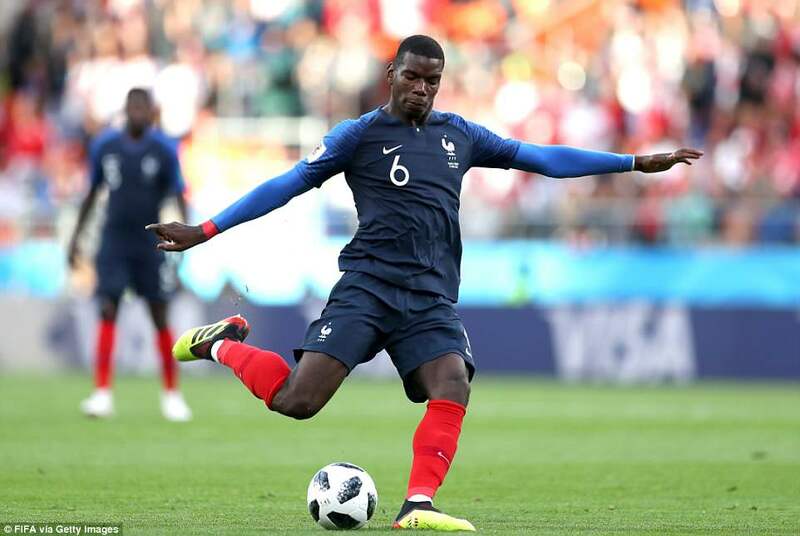 Pogba won possession from Guerrero in midfield and had the awareness to play a simple pass to release Giroud, who was played onside by centre-half Alberto Rodriguez, dawdling out a little too slowly at the back. Giroud went for goal on the turn and a partial block by Rodriguez sent his effort spinning over goalkeeper Pedro Gallese. 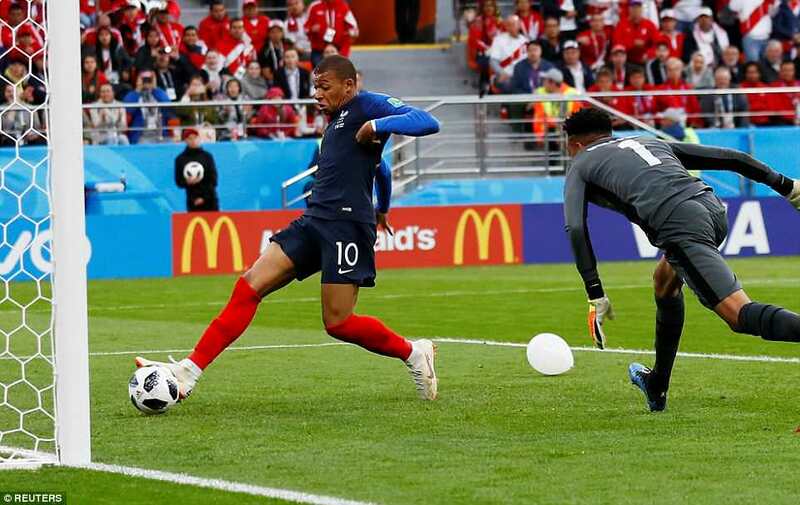 It may have bounced into the net without Mbappe’s help but the teenager was quick to pounce and make sure. 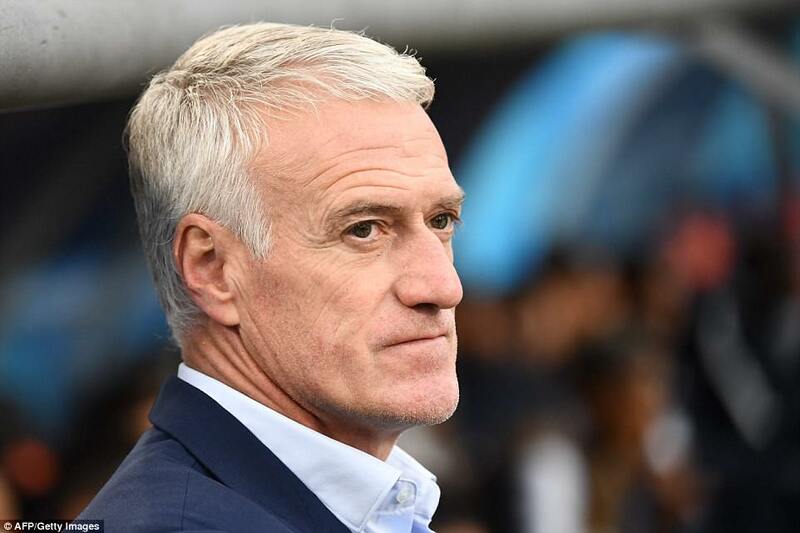 France deserved their lead and might have extended it before the interval. 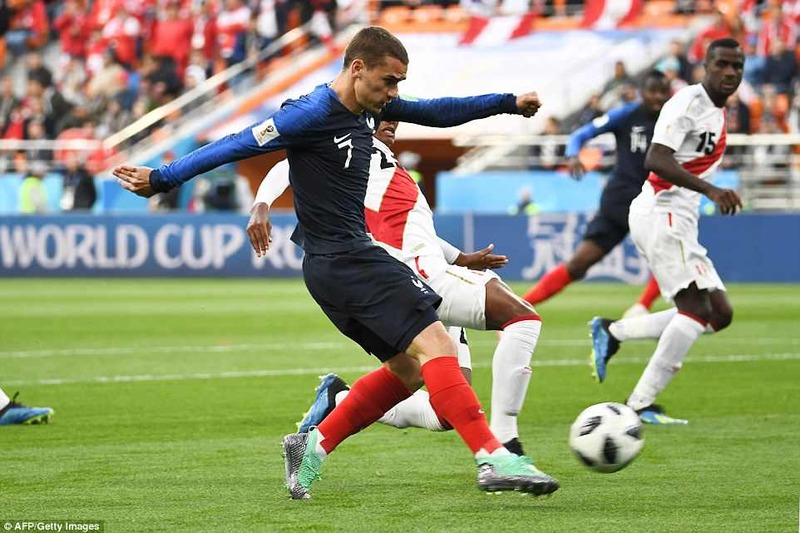 Gallese dashed out to stop Giroud applying the final touch to a slick counter-attack involving Mbappe and Griezmann and saved from left-back Lucas Hernandez after another good move. 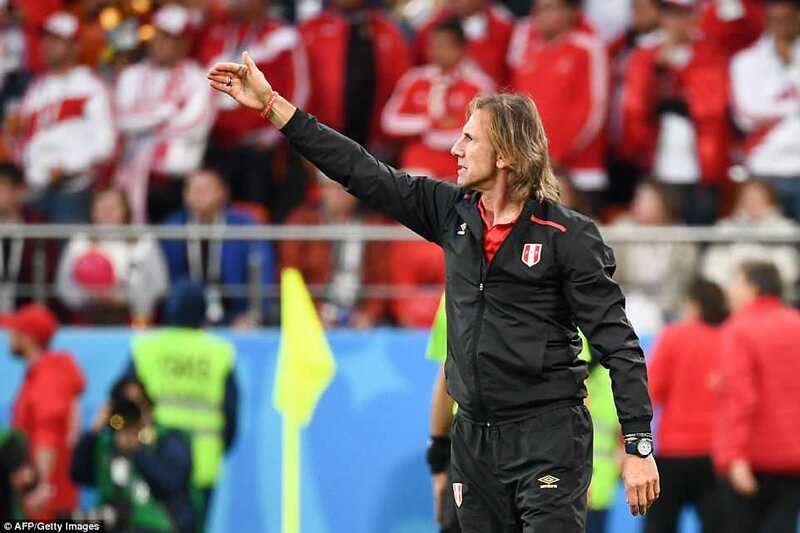 Peru boss Ricardo Gareca responded with two half-time substitutions, sending on striker Jefferson Farfan and replacing Rodriguez at the back. They came very close to an equaliser soon after the restart when Pedro Aquino’s swerving drive from distance hit the woodwork near the top of a post. 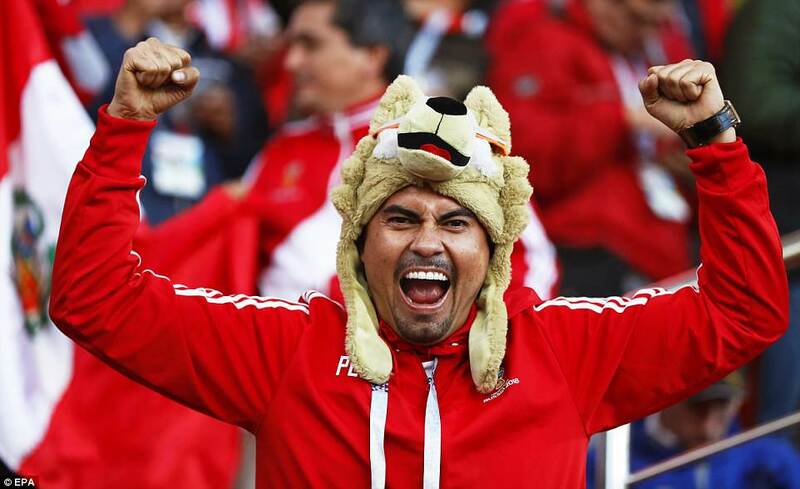 Peru seized the initiative and went forward with purpose but France restricted them mainly to shots from distance.